Every year, at the end of the year, when my sixth graders are ready to be done with elementary school, and when they are on the verge of not listening anymore, I get out my folk instruments. We learn Juba, a song about how the slaves would get the leftover scraps to eat. It has really fun hand slapping called hambone that is contagious. 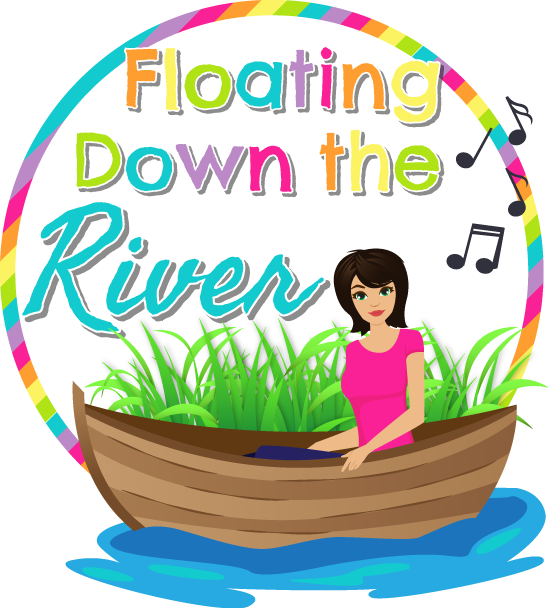 The kids love doing these movements and singing this song. I first start by talking about the meaning of the song after we sing it- that the leftovers, such as the husk of the corn, the crust of the bread, and the skin of the meat are given to the slave mom’s to cook. The kids’ mouths hang open in disbelief. We discuss how it is so nasty that the song says it killed the yellow cat. It is best to learn the song first before you start teaching the hands, because once you teach the hands, it is hard to get them to stop. We sing the song a few class periods before we start doing the hands. Watch a video of me singing the song first. Where the X’s are in the song, I make hand signals for rest. That is hardest part of the song- getting the rests, but the kids love it, so they get it pretty quickly. 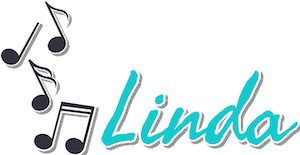 You are ready to do the hands when they can sing it pretty well without getting into the rests. Here is a video of me singing the song. 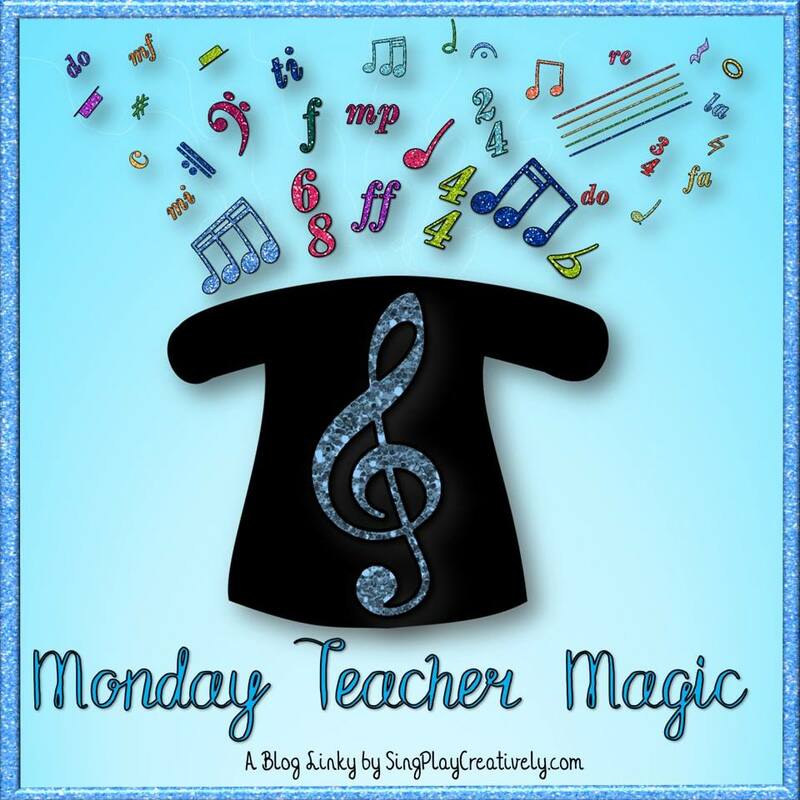 After your students learn the song well, then you can teach the hand movements and finally add the hambone to the song. I did my best to show you the hambone hand movements. Once we have gotten the song and hands started, we watch a favorite video I love called “Folk Rhythms” by David Holt. 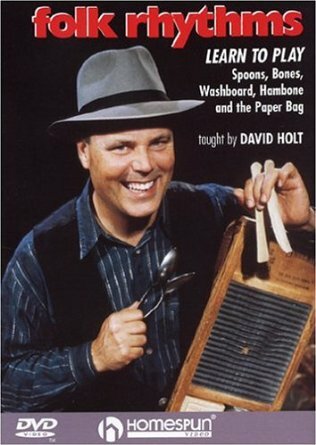 I know it ages me, but I grew up watching David Holt do all kinds of fun folk instruments and mouth sounds on a show my dad used to watch called “Hee Haw”. Mr Holt is amazing and when he came to our area a few years ago, I got to see him. You can see him play fun folk instruments and do mouth sounds on this video. It is really fascinating and the kids love it. Luckily, you can also find parts of this video on youtube, in case you can’t purchase the video. The first folk instrument we do is paper bags. I bought a big pack of paper bags about 6 years ago at Sam’s Club and I just use about 30 a year and still have tons. I ask the students to be gentle with the bags and reuse them with multiple classes. The medium sized bag works well- not the lunch size. If you don’t have the folk video, you can just open your bag and put some air into it, fold the top down and tuck it a bit under your left arm. Hit the bag in quarter notes with a stronger beat on 2 and 4. 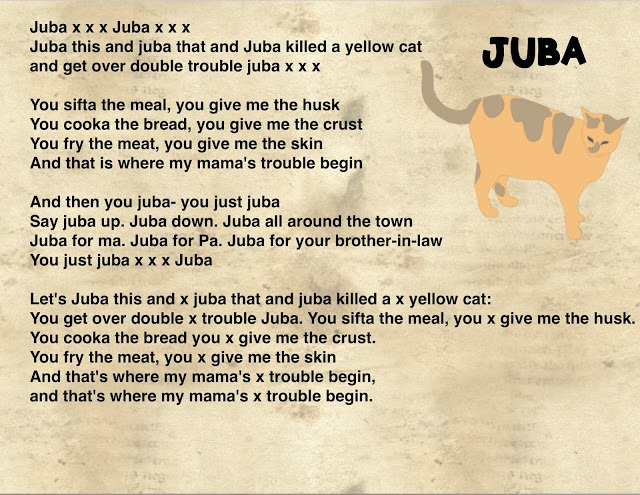 Play it along with your Juba song to practice. Here is a video on youtube of David Holt playing the paper bag (fancy rhythms) along with a man playing the bones. I’d love to get some of those bones to learn how to do those too! David Holt Playing the paper bag. The next instrument we learn to play is the spoons. I got some cheater spoons and later realized that real spoons aren’t so hard to play. I got some cheap ones at walmart in the housewares section. Ideally, you’d get a little nicer ones. I have enough that there are some for every student. Once again David Holt has a youtube video that teaches you to play spoons. The kids will absolutely love this. Again, play your spoons along with your Juba song to get practice. David Holt Playing the Spoons. 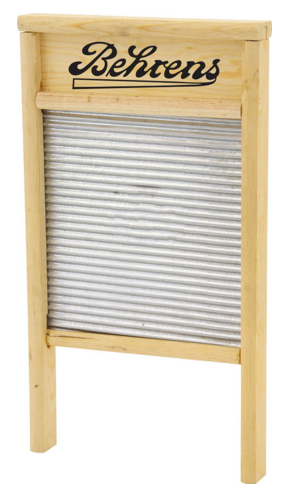 The final instrument we play is the washboard. I have bought a few washboards a year and now have enough for half of a class, so we only have to do two rounds of washboards within one class to get everyone a turn. I have the rest of the class practice their Juba hambone movements while half of them are playing washboards. The Folk Instrument video has kids tap on the board in quarter notes with 2 and 4 being stronger. 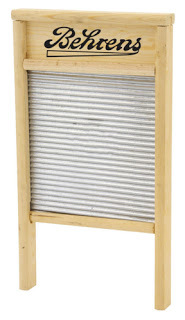 If you don’t have the video, there are some interesting youtube videos to show you some fancy washboard playing. 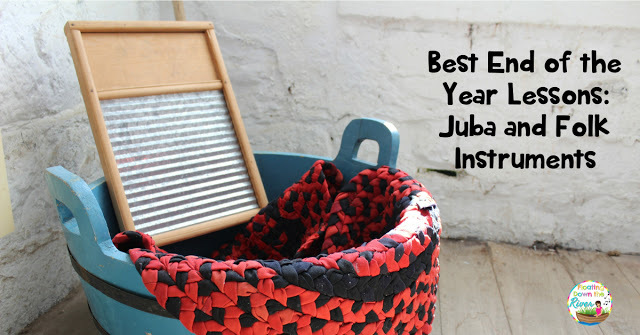 Again, add your washboard playing to your Juba. Finally divide your class into 4 groups and work together to play a nice ensemble, including Juba, paper bags, washboard, and spoons. So much fun! Link up your favorite end of the year blog posts below! 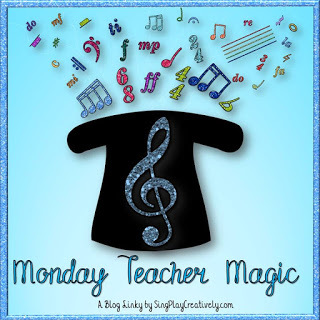 Great "Lessons" Share Post & Video!! They have so much fun with this!